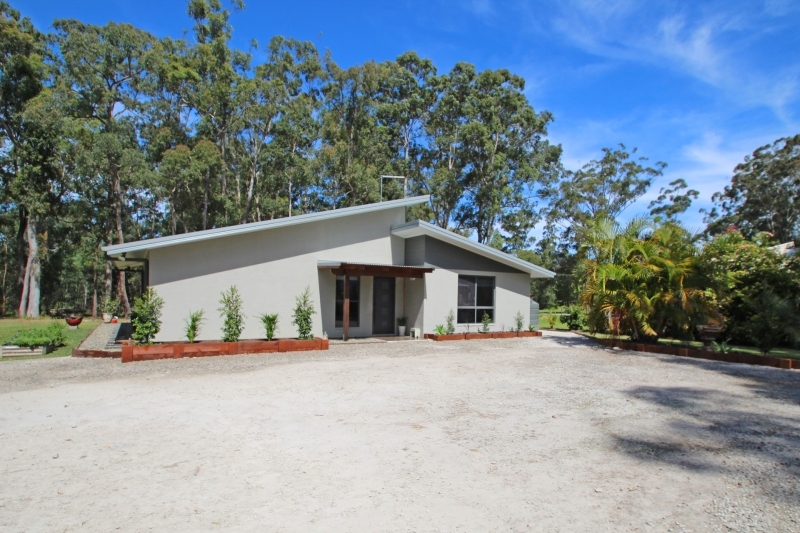 Located in a picturesque lightly timbered setting on 4432m2 just a short drive to nearby beaches, a heritage rainforest and the Clarence River. 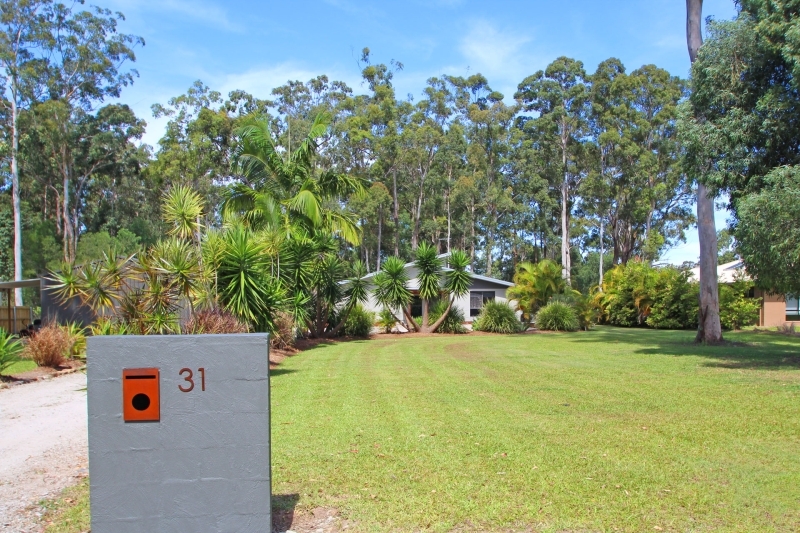 Beautifully landscaped with a variety of palms and well established yuccas, featuring a crushed rock driveway with a parking area in front of the home that is big enough for several cars. 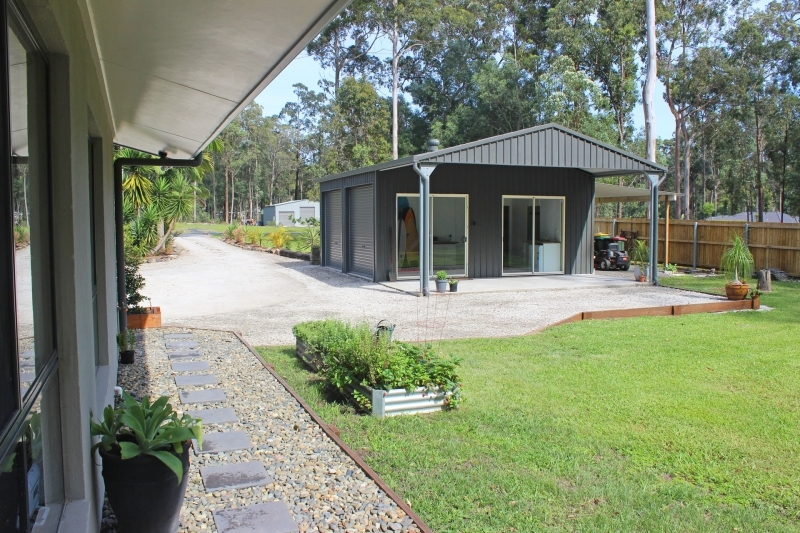 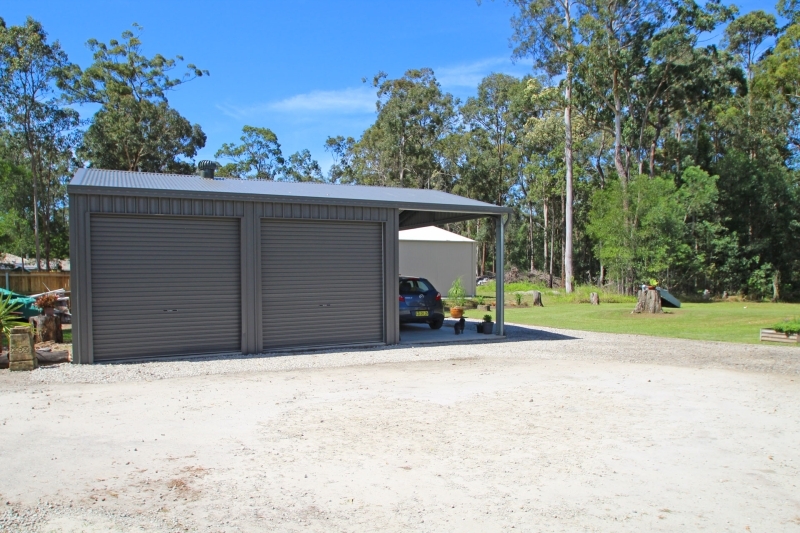 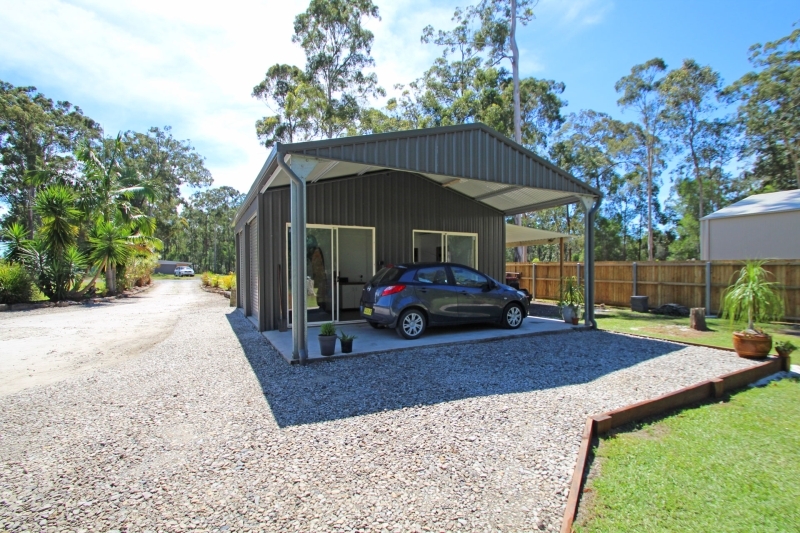 Offering a 3 bay colorbond shed with 2 enclosed bays and a carport off one end. 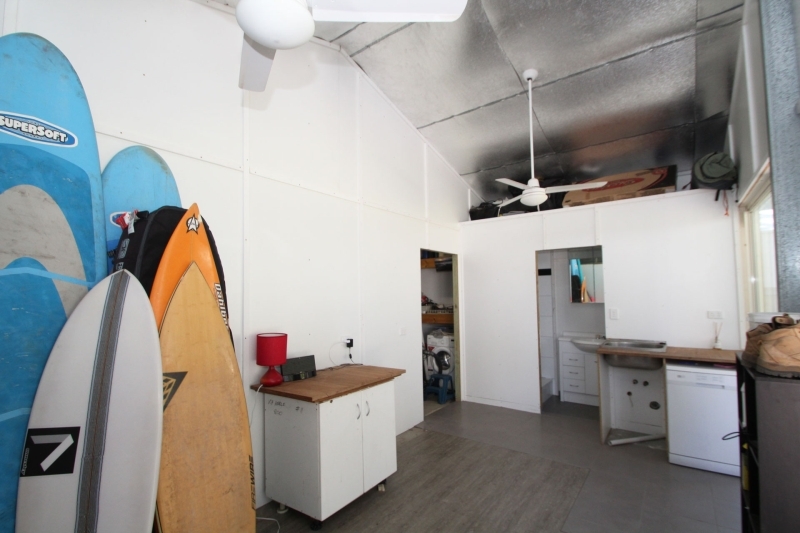 Fully insulated with built-in storage, gas hws, a small kitchenette and living area and a 3rd bathroom with shower, toilet and vanity that needs to be plumbed and connected to septic. 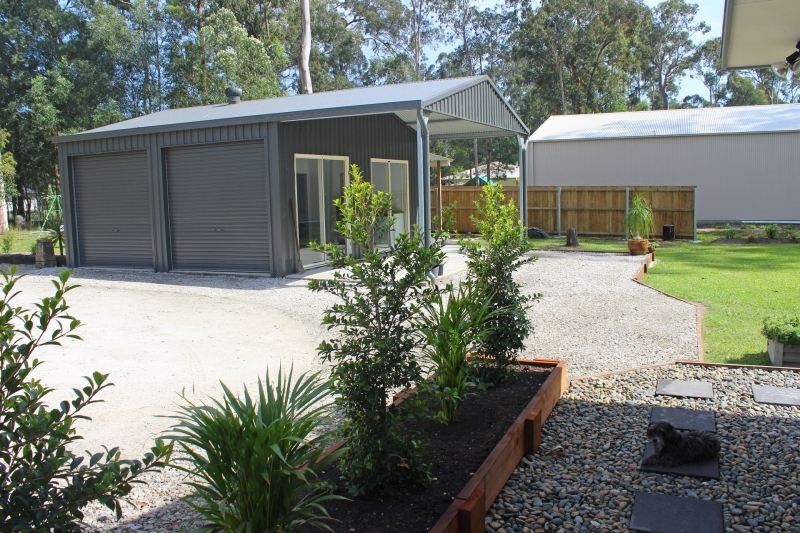 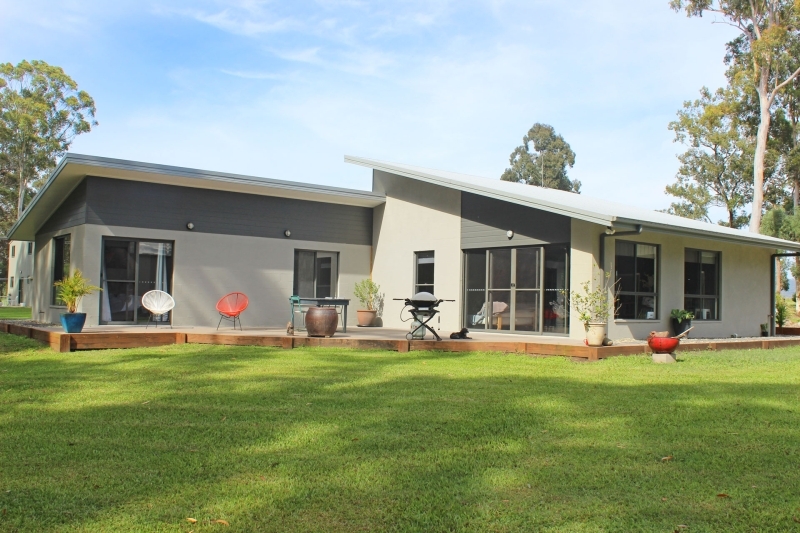 This unique home has great street appeal with a double skillion pitched roof and timber garden beds in front plus timber edging around a large concreted entertainment area at the rear of the home, which overlooks a grassy back yard with a natural bush backdrop. 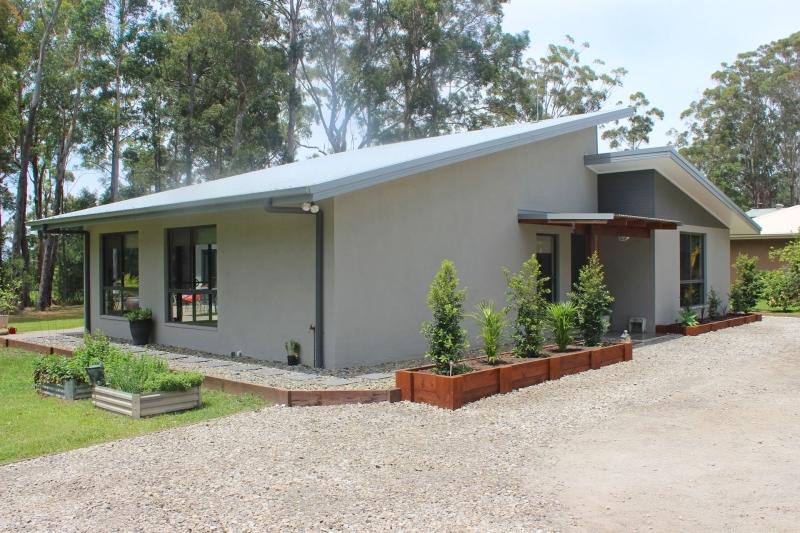 Loads of crushed rock was bought in before construction commenced to provide adequate drainage and a raised house site for this rendered bessa block home. 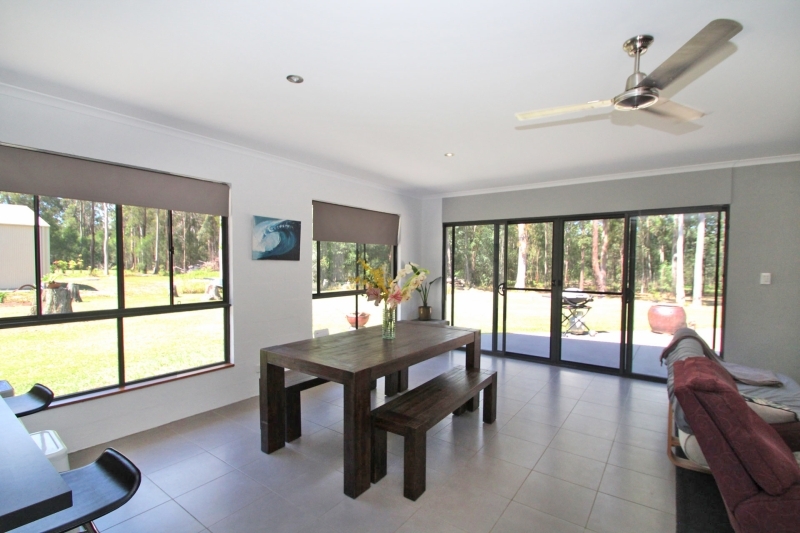 Stepping into the home you will find a spacious open plan living area that is well lit as there are numerous large windows and double sliding doors to the outdoor area. 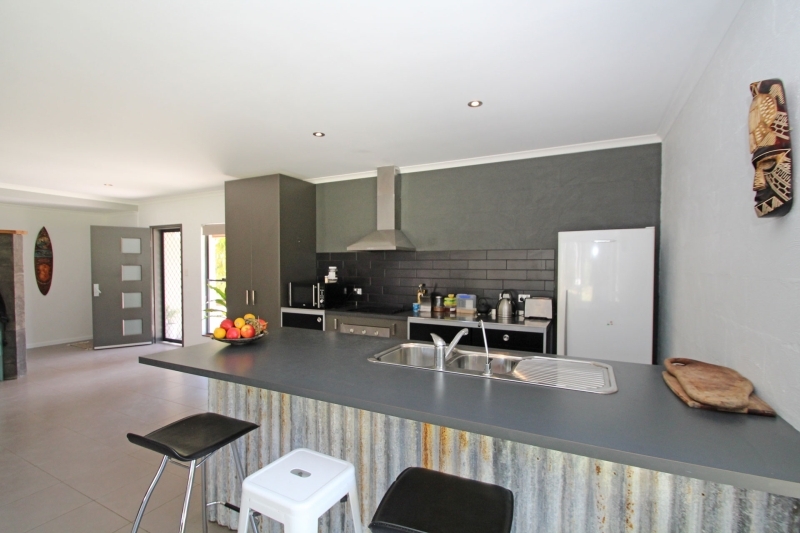 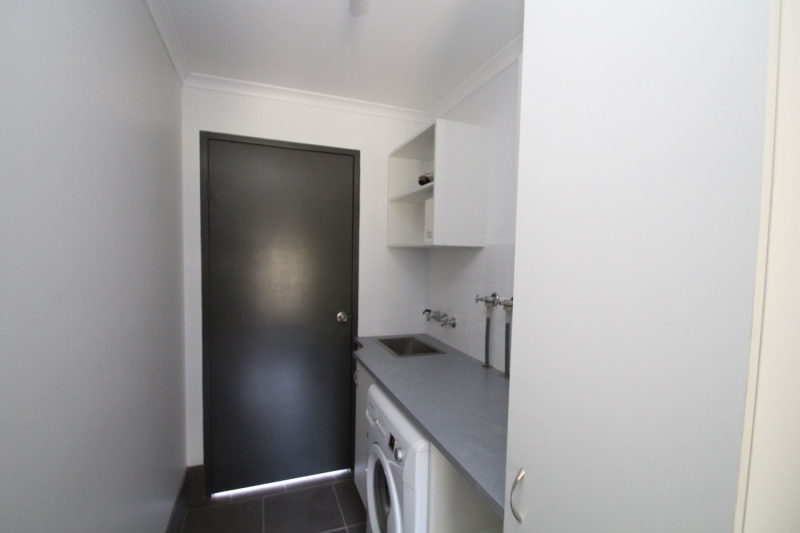 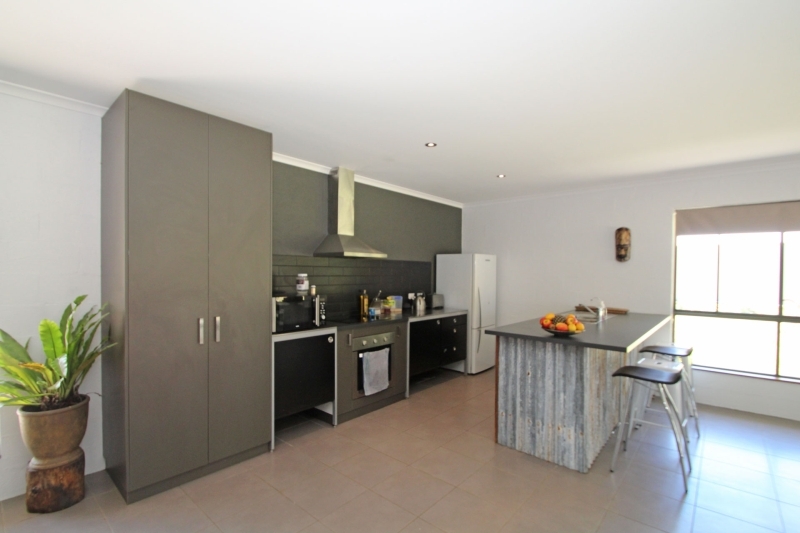 Boasting an attractive kitchen with earthy tonings, a dishwasher plus stainless steel underbench oven and rangehood. 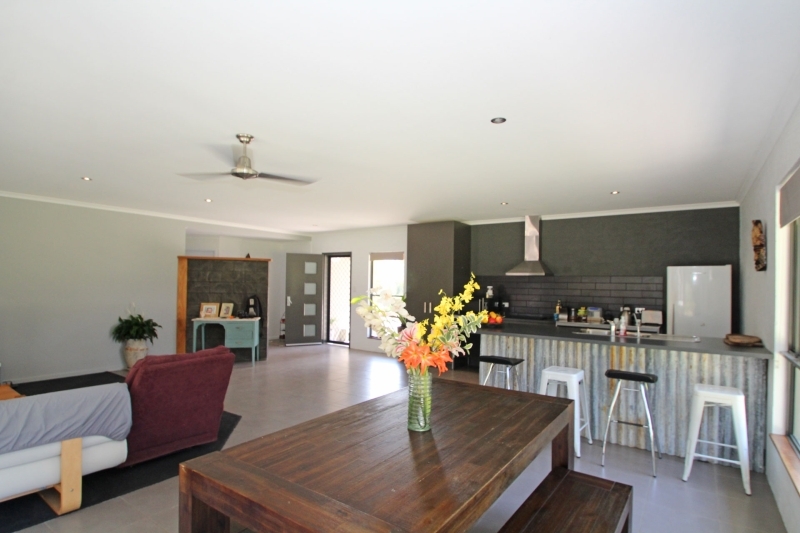 Offering a large breakfast bar with zincalume surround underneath that gives it quite a rustic appeal. 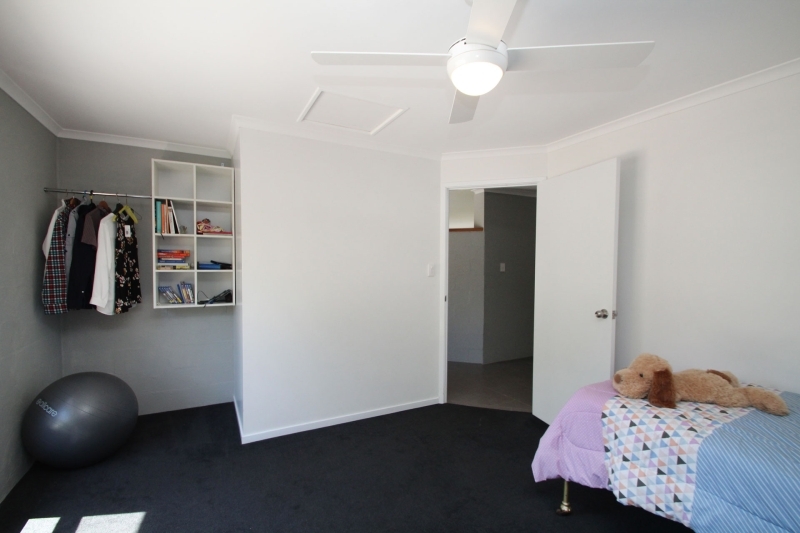 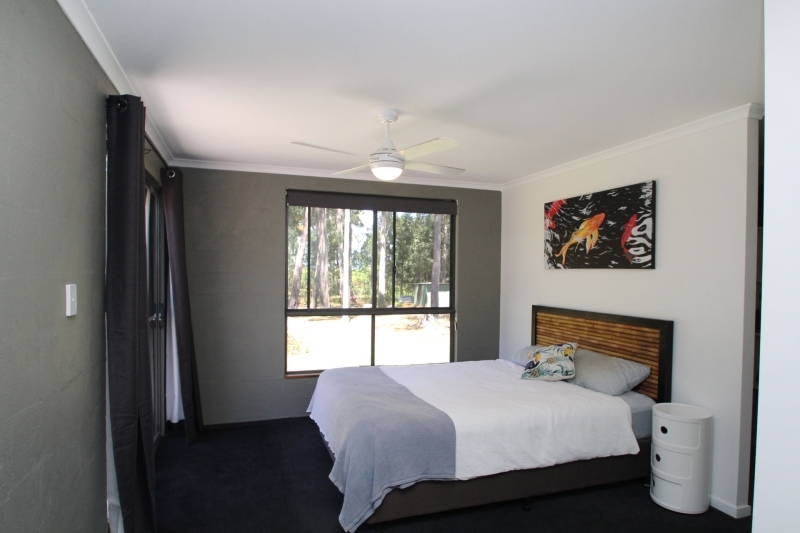 There are 3 good size bedrooms, all with ceiling fans, plus an ensuite and walk-in robe off the master bedroom. 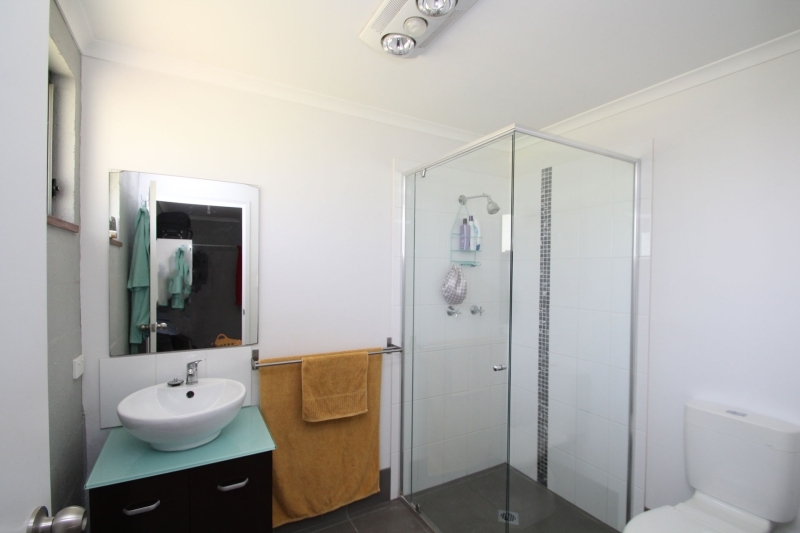 The main bathroom offers a shower over bath plus there are glass top vanities with raised wash basins in both bathrooms. 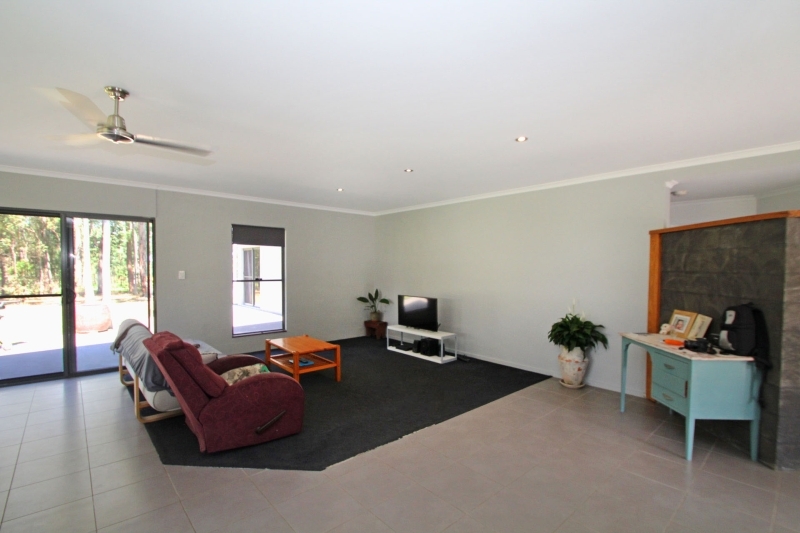 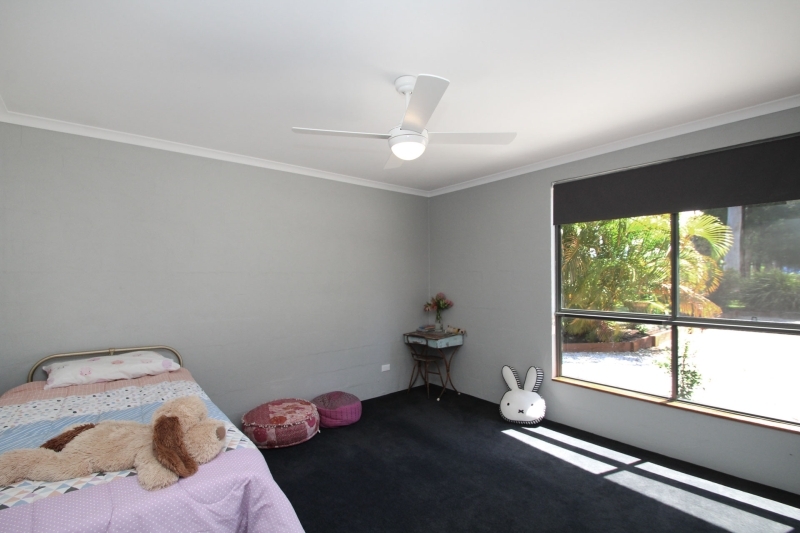 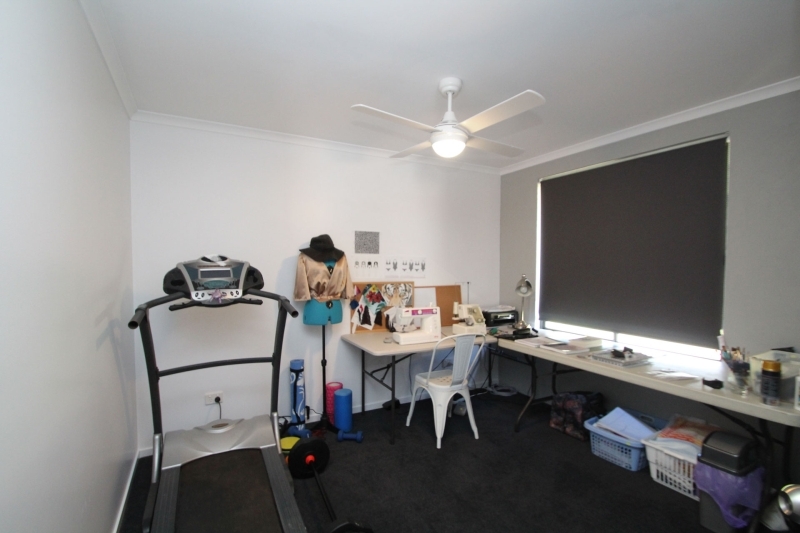 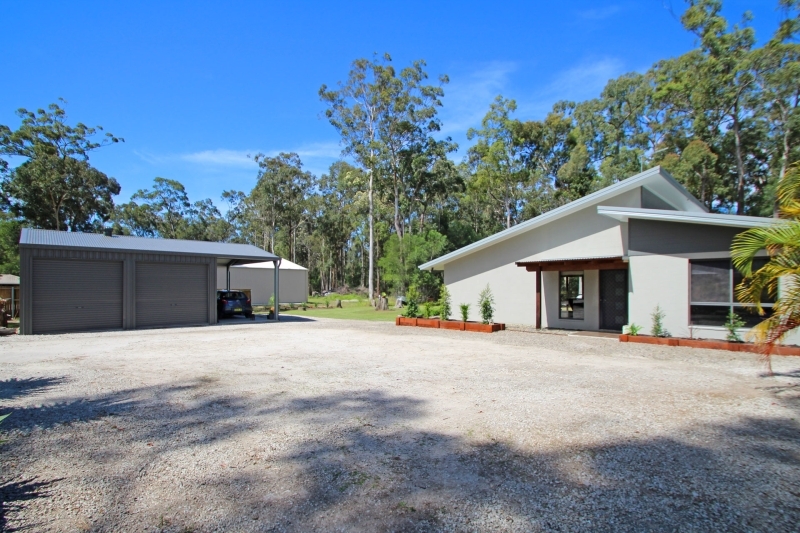 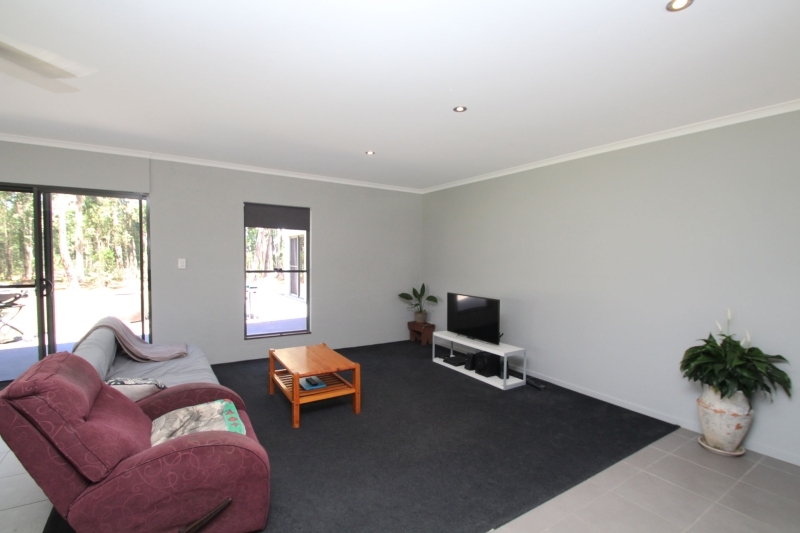 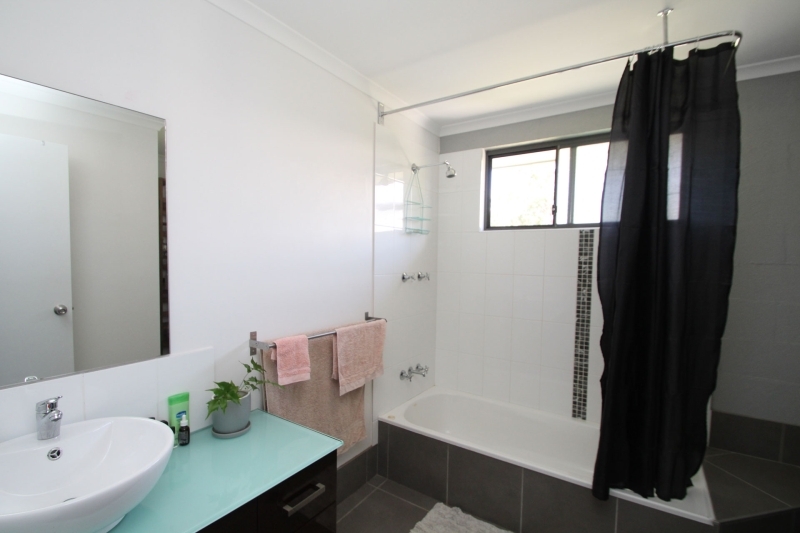 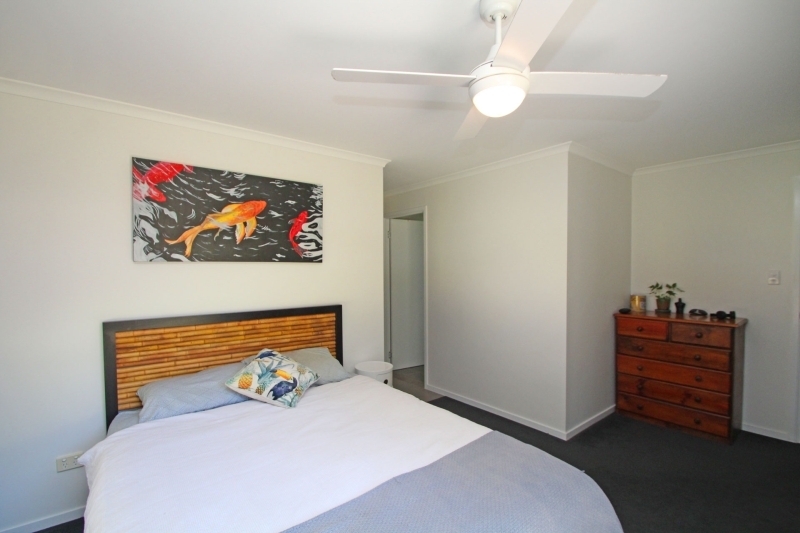 Situated at Woombah with a nor-easterly aspect with views to the west of Double Dukes mountain ranges. 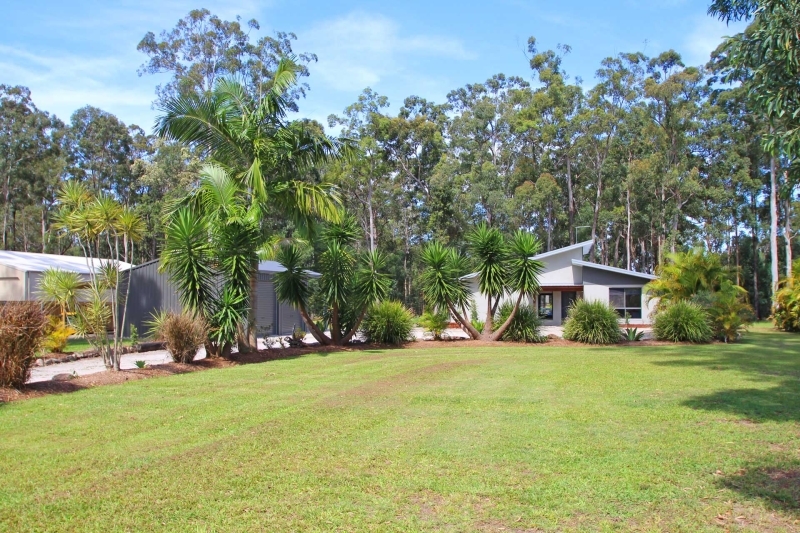 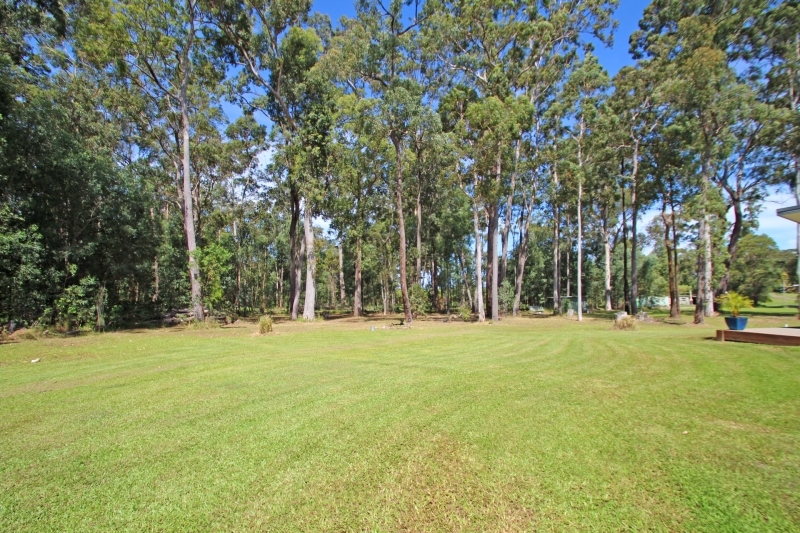 This idyllic setting is conveniently located less than 1 hour from Grafton and Ballina and approximately 1 1/2 to 2 hours from the Gold Coast, depending on traffic.